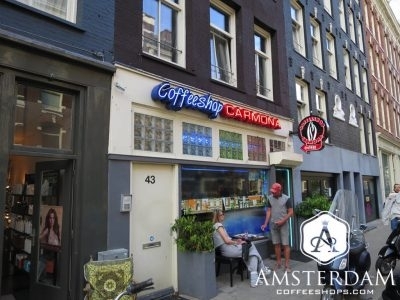 Carmona blends into this neighborhood well, and seems to be popular among locals. This coffeeshop is contemporary, yet unpretentious. The shop's smoking lounge is spruced up with traditional Moroccan themed pillows, and padded leather benches; cozy. 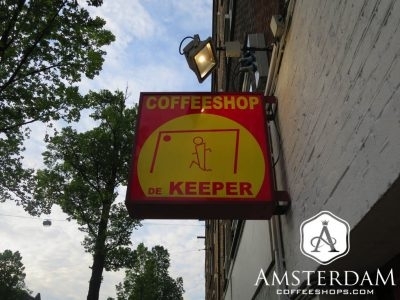 The Dream is a fairly traditional Dutch coffeeshop. The decor in the smoking lounge is basic, with not a lot of frills. This isn’t a touristy “theme” shop. It caters largely to locals. The key attraction here is likely the billiards table. Ibiza is the largest coffeeshop in the immediate neighborhood. The place is ornate in detail, starting with the bright blue painted building facade. 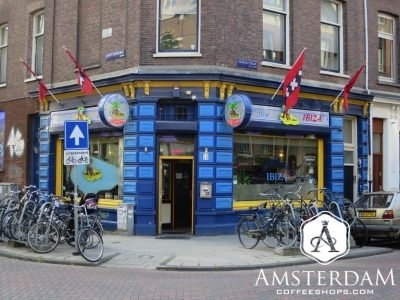 Presumably named after the mediterranean island, the theme here is “island smokers' paradise." There is a Moroccan theme inside Freedom coffeeshop; a bit chill and funky, very down to earth. The furniture basic, but comfortable. Freedom has a Statue of Liberty on its sign. We’ll take this as confirmation that all city visitors are welcome. 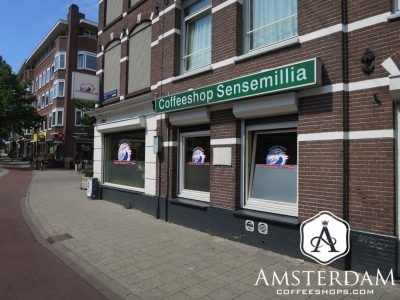 Though Coffeeshop Sensemillia is an old brand in Amsterdam, the inside of this location has a contemporary feel. This shop mainly serves as a take and go location. However, there are a couple of tables, a soda machine, and a coffee machine in here. 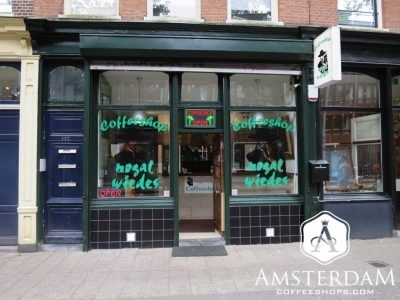 Nogal Wiedes is a small coffeeshop that primarily serves as a take-and-go. If you are looking to chill a bit though, fret not. 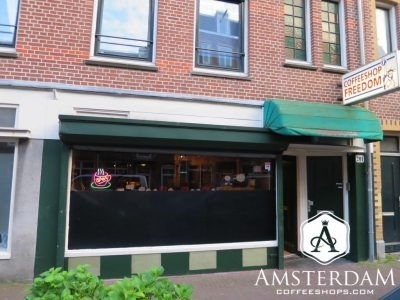 There are two small smoking rooms behind the counter. Each area has one table and a TV, and offers a fair bit of privacy. 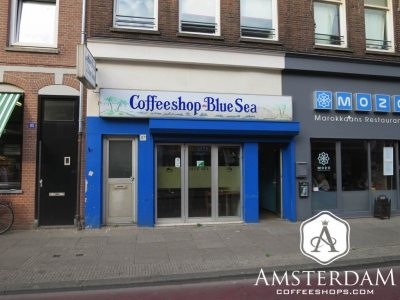 Blue Sea is just far enough from the hustle and bustle to be a bit more of a locals’ shop. 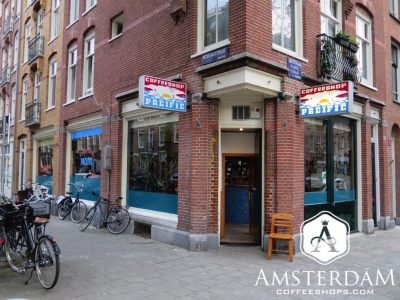 Inside you'll find a Moroccan / Dutch vibe; very chill and unpretentious. It feels cozy and real, just not quite beachy, as its name might suggest.